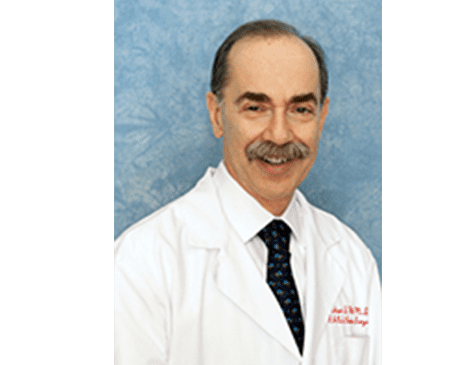 Richard S. Witlin, MD, FACS, of the Witlin Center for Advanced Eye Care, serving East Brunswick, Toms River, and Morristown, New Jersey, is one of the pioneers in refractive surgery in the New Jersey area since 1981 when he performed the first radial keratotomy procedure in central New Jersey. Following the FDA approval of excimer laser surgery in 1996, Dr. Witlin took up both photorefractive keratectomy (PRK) and LASIK surgery. One of the most experienced LASIK surgeons in New Jersey, Dr. Witlin has performed 6,000 LASIK procedures and 25,000 cataract procedures since 1997. The surgical results have been outstanding, with over 98% of his patients achieving 20/40 or better visual acuities. A board-certified ophthalmic microsurgeon, Dr. Witlin received his medical degree from the Albert Einstein College of Medicine in New York City, where he graduated with honors at the top of his class and was elected to Alpha Omega Alpha, the National Medical Honor Society. He completed his internship and residency at the Albany Medical Center Hospital in Albany, New York, where he served as chief resident in ophthalmology. Dr. Witlin is an enthusiastic refractive surgical educator, sharing his expertise with numerous professional and civic groups. He has trained and supervised many eye doctors and has lectured throughout the United States and internationally. Dr. Witlin maintains faculty appointments at several prestigious teaching hospitals, including Wills Eye Hospital in Philadelphia and the New York Eye and Ear Infirmary in New York City. In 1998, Dr. Witlin established the Witlin Center for Advanced Eye Care, dedicated to the performance of refractive eye surgery and small incision, sutureless cataract microsurgery. Dr. Witlin enjoys many other activities, besides ophthalmology. He’s an avid theater-goer, world traveler, wine collector, and family man who enjoys spending time with his three children.